This is a great idea for a modern apartment, especially a small one. The corner sofa set design in the living room interior always looks organic, and it will undoubtedly complement and decorate your home. 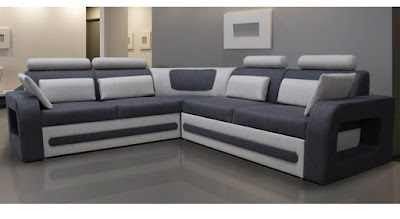 • Aesthetic appearance: Modern corner-sofa models look very stylish, and to see this, you should just look at the photos of the beautiful sofas on the website. • Saving space: Due to its shape, such furniture takes up little space in the room and frees the living space in the middle of the room, which is important, especially for a small home. 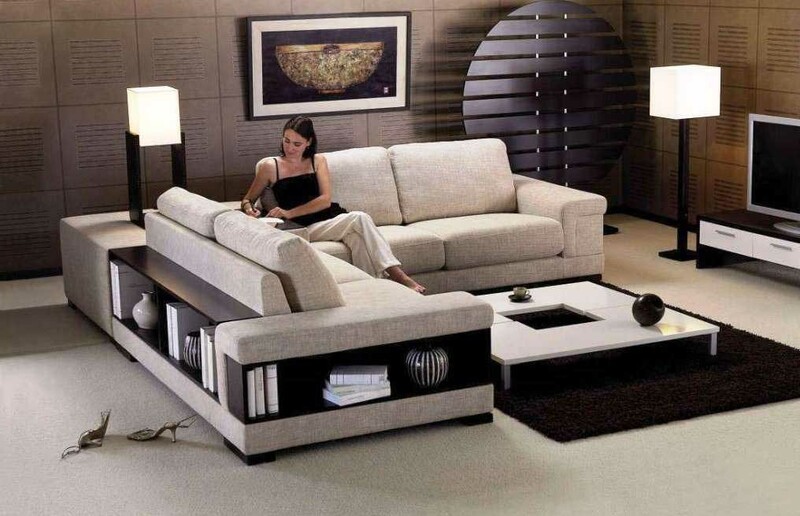 The corner sofa also allows efficient zoning in the living room if its area is large enough. • In addition to the previous paragraph, consider the capacity of such models. Even the most modest of them can easily accommodate up to five people. Before choosing the appearance of the corner-sofa you’d like, it’s necessary to understand how they are arranged. 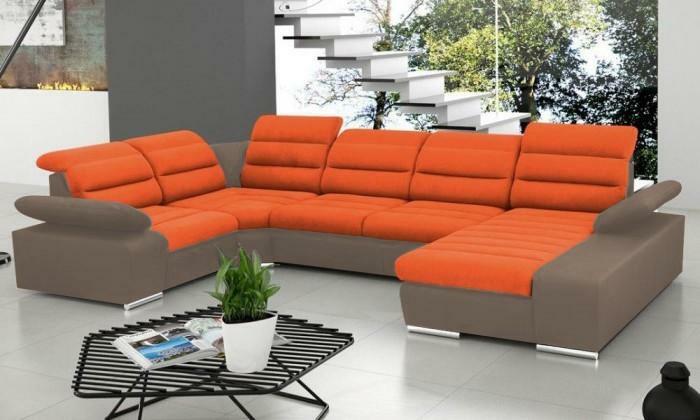 Modern corner sofas are not often equipped with mechanisms of transformation. 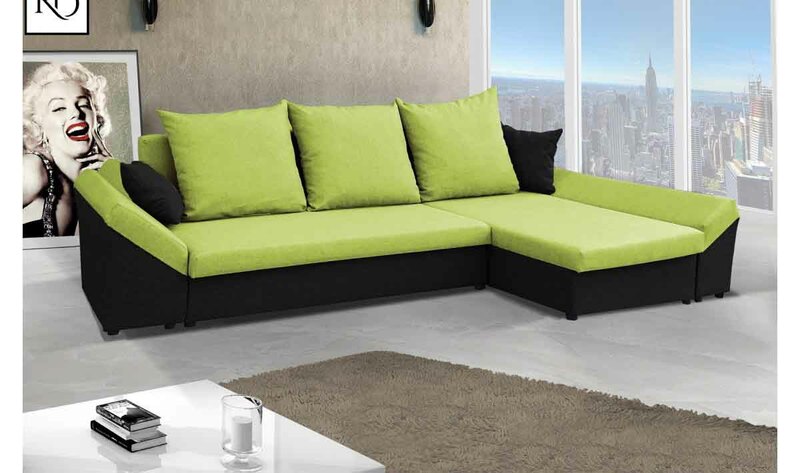 Transformer corner-sofas can come in handy if your living room at night fulfills the role of a bedroom because this model is easily decomposed and can serve as a comfortable sleeping place. 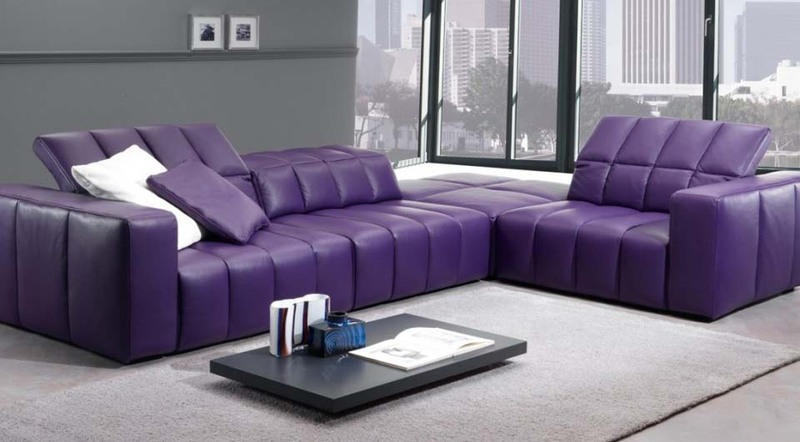 Decades ago, the most popular corner-sofas were the so-called "books". 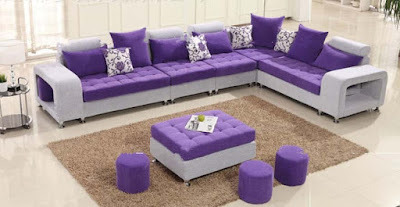 But today, furniture manufacturers have moved to more reliable and easy-to-use options. Eurobike is a modernized variation of the previous model. It’s easier to use, and with everyday folding/unfolding, everyone can easily cope with it. The accordion is even simpler and more convenient to use, its transformation requires minimum energy. Some corner-sofa models allow you to adjust the position of the backrest at 90 degrees for communication or 45 degrees for rest. Before buying, be sure to check the serviceability and quality of the mechanism. 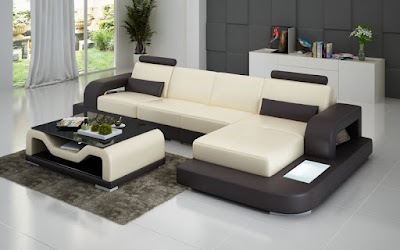 It all depends on your convenience and the life of the new furniture. When choosing, it’s necessary to focus on several criteria. This is a fundamental criterion when it comes to choosing any furniture for a small room. 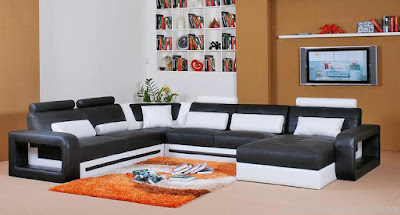 To decide on the dimensions of the sofa, take a tape measure and measure the area that they’re going to occupy. If the house has windows with low windowsills, select the model taking into account that the backrest shouldn’t overlap with the window. 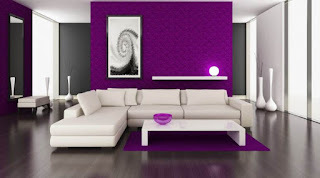 The color should be in harmony with the finishing of the room and the rest of the furniture. 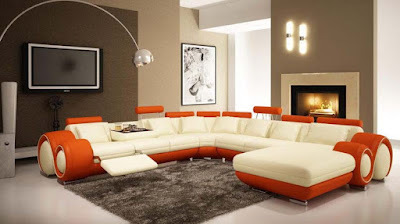 If the living room is multifaceted furniture, it’s better to take a sofa of neutral shade without a striking decor. To revive the picture, you can buy several bright pillows and a blanket. However, if you want to radically update the interior, choose contrasting colors. This website will help you view photos of modern corner sofas and corner sofas in the interior. 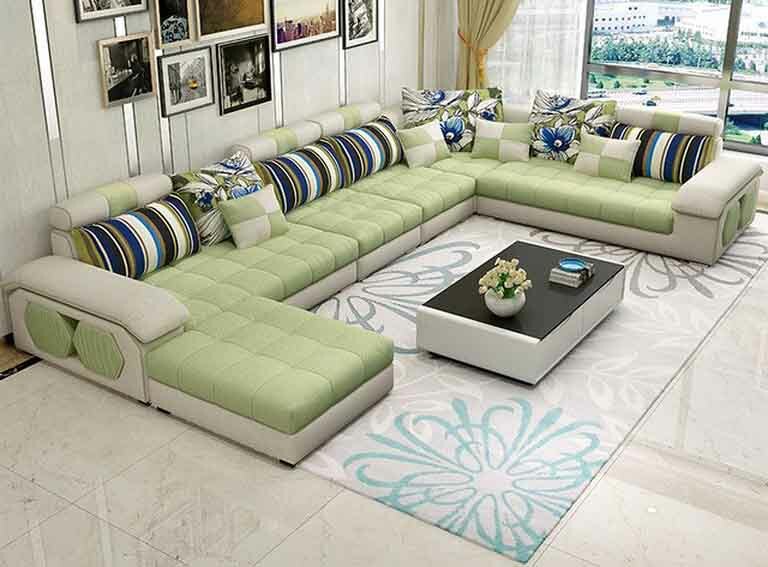 To ensure that the new furniture harmoniously blends into the room, its color should echo with other interior details or decor elements. It’s not necessary to find a large number of combinations. It can be just a few color accents. 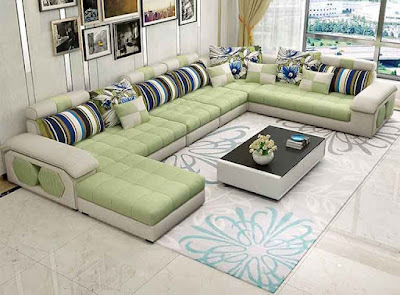 For example, the upholstery or pillows are the same color as the curtains or carpet on the floor. When choosing such furniture, focus on your growth. The seat and back shouldn’t be too high or too low, you should be absolutely comfortable to sit on it. Pay attention also to the armrests. They can be soft to fit comfortably, stretched out over the entire length of the seat, or stiff so that they can be used as a stand for a mug or other things. 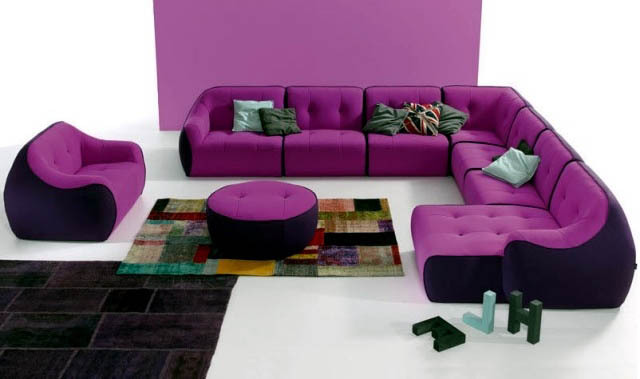 Today in stores you can find models of different shapes and configurations of corner-sofas. 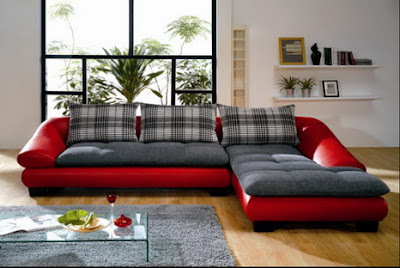 The standard form of corner-sofas is the form of the letter G with the assembly on the left or right side. A corner sofa in the form of the letter P is suitable for a large living room or studio, but such corner-sofas in the interior of a small room will look ridiculous. 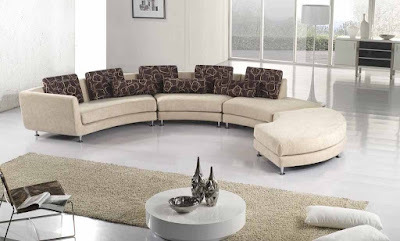 Look at the attached photo of the corner-sofas in the living room to find the best options for your interior. Modular corner-sofas consists of several sections that can be mounted in different ways. 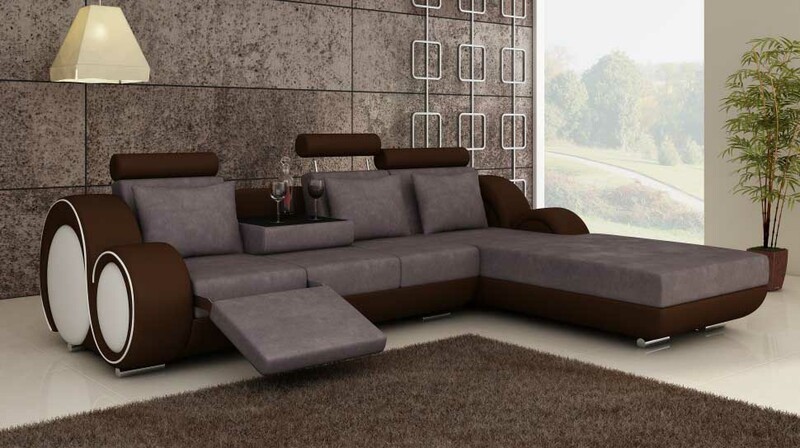 This is a great option for the living room. The socket has no back, so it doesn’t visually divide the space into parts. But it takes minimum space. The most practical option is leather upholstery. It's easy to clean, but when you move it makes a creaking sound, and it's unpleasant to sit on it in a short skirt or shorts because the skin sticks to your body. 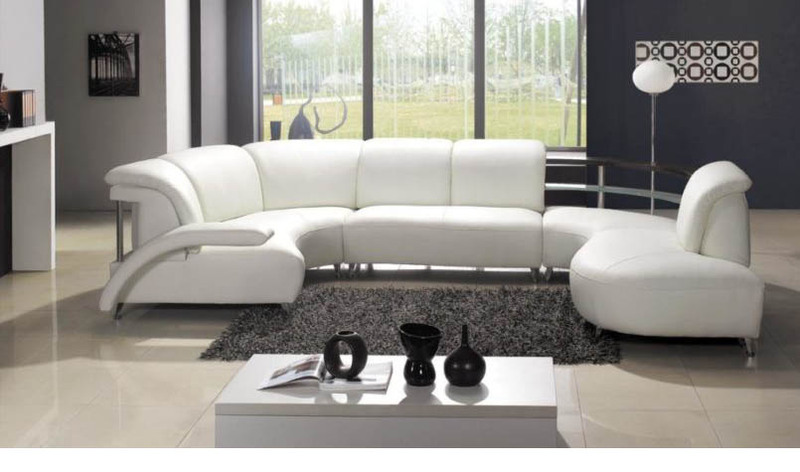 Leather models will look good in an office or in the living room, but for a small room or bedroom, they’re not suitable. 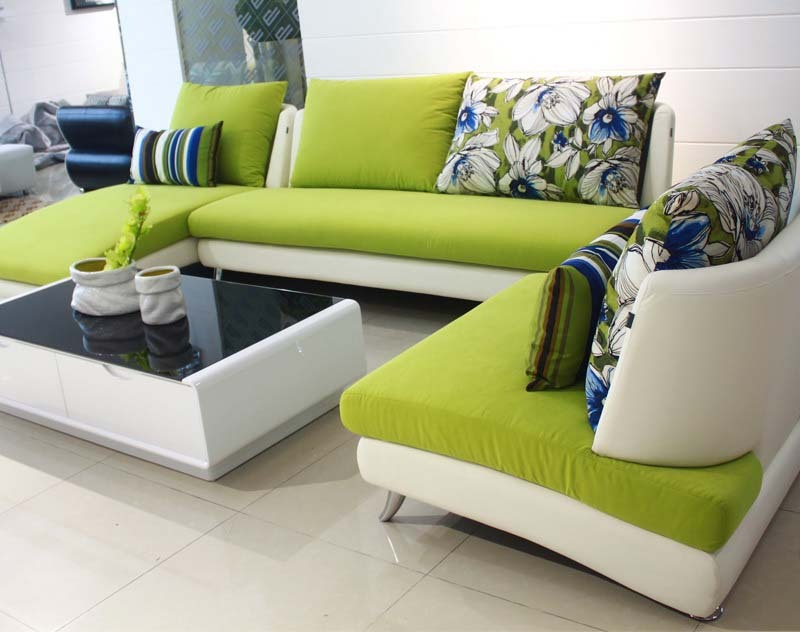 If you chose fabric upholstery, choose non-marble materials. 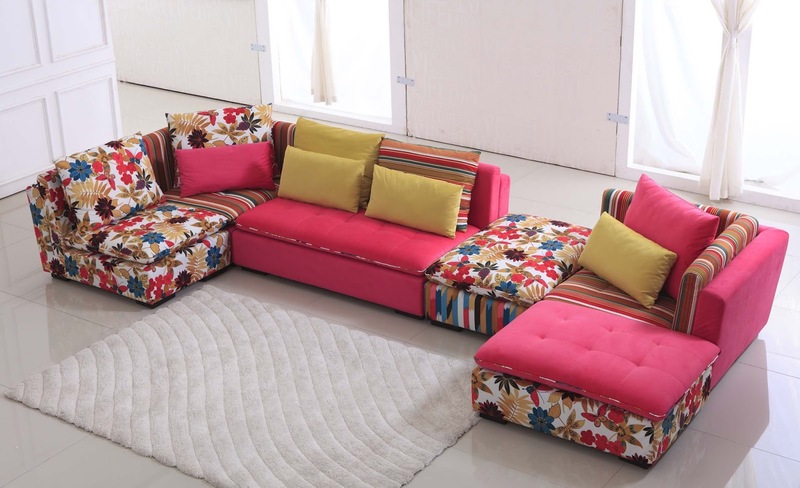 An excellent option will be a corner-sofa with removable covers that can easily be washed. Kitchens, as a rule, have a small area in comparison with other rooms so this model will be very handy. It allows you to allocate a cozy zone for food intake. To visualize this zone, it is worthwhile to use bright upholstery. 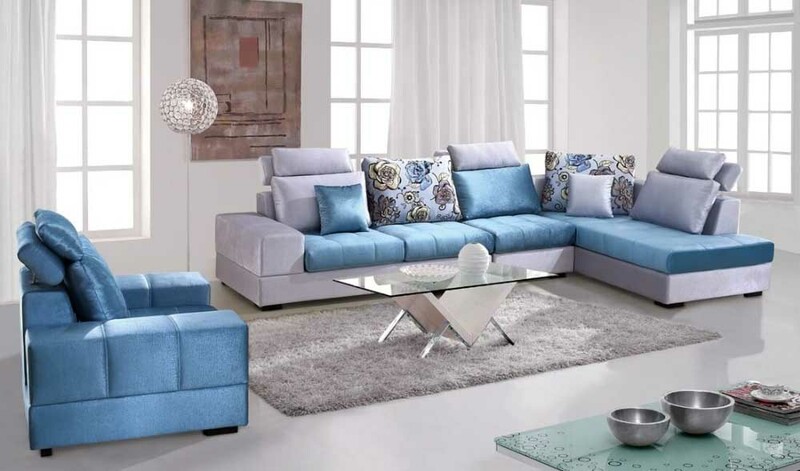 But don’t forget that a kitchen is a place with a high probability of contamination of furniture; therefore, when choosing furniture for the kitchen, give preference to sofas with removable upholstery. Take a look at the attached photos of modern sofas and photos of corner-sofas in kitchens to evaluate your options. 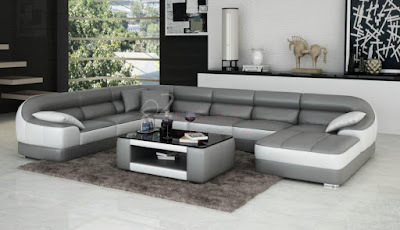 The living room is the façade of the house, and its furnish must be presentable. 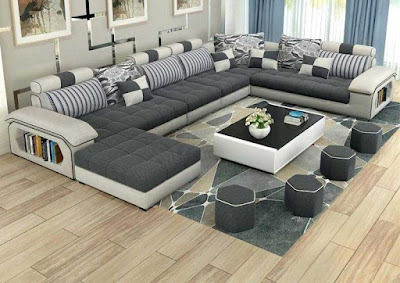 The design of the living room with a corner-sofa won’t only provide comfortable seating for your guests, but it will also look very stylish and modern. 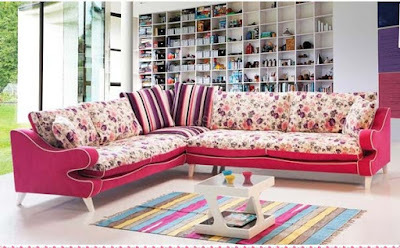 In small living rooms, to save space, a corner-sofa is placed near the shortest wall, and in large areas, you can set your imagination free. 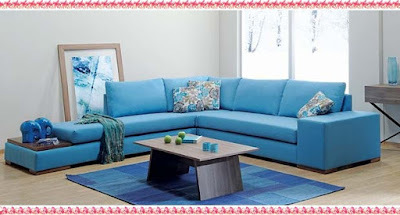 The photos of corner-sofas for the hall will help you find interesting ideas for the interior. 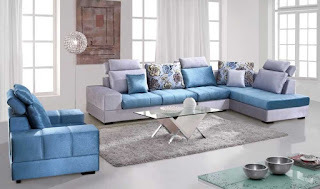 If you want to focus on this subject of furniture, which is quite appropriate in the living room, choose the upholstery that contrasts with the main color scheme of the interior.